When choosing cooking wedding gifts, I am not talking about the basic kitchen necessities such as a baking sheet and measuring cups. Couples that enjoy cooking want a step above the usual kitchen stock items. Chances are if they like to cook, they already have the standard pots, pans and accessories. My selection of the best gifts for people who like to cook includes quality kitchen cookware and accessories that would make wonderful wedding gifts for cooks. The nicest baking dishes, the latest gadgets and the finest specialty items are ready and easy to purchase for you wedding couple that loves to cook. 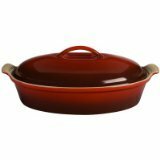 When the topic of the best stoneware casserole dish comes up, I know the winner is Le Creuset. Hand-crafted so that each piece is slightly different but also made to perfection. The newlyweds will love baking all of their favorites in this dish which is perfect for everything from Italian stuffed shells to a breakfast casserole. And this dish is so beautiful that it can go from oven to table for a smooth transition from baking to serving. The matching lid will keep dishes fresh in the refrigerator until baking time or store leftovers easily. Say no to plastic mixing bowls when buying gifts for people who like to cook. These are fine stainless steel premium mixing bowls. And such a nice set featuring four varied size bowls and matching lids. A true cook will love mixing bowls that have a non-slip bottom, so when the mixing gets heavy, there are no slip and slide adventures. 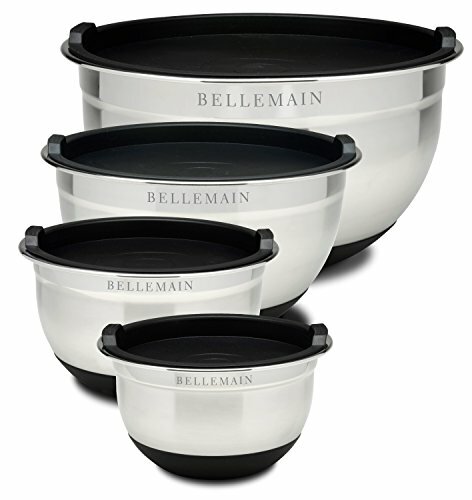 Classic contemporary design with the Bellemain name on each bowl, plus there are measurements on the inside of each bowl for easy and quick measuring. Cooks love kitchen gadgets and this collection of cooking wedding gifts is sure to put a smile on their face. Gadgets are not only fun to use, but serve a purpose as essential kitchen gear for serious cooks. Here Are Some of The Best for Dedicated Cooks-they will love these! 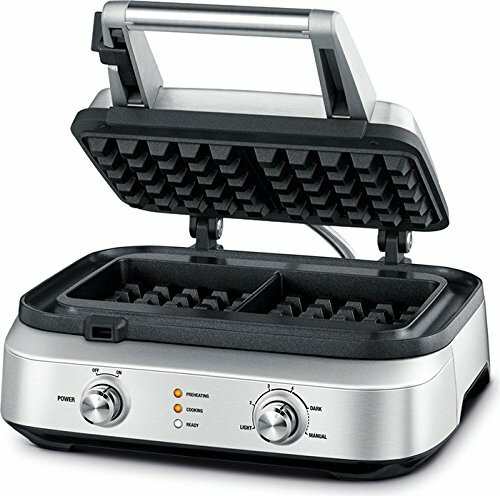 One of the best gifts for people who like to cook and especially newlyweds is a good quality waffle maker. This particular brand is known for fine appliances that stand up over the test of time. 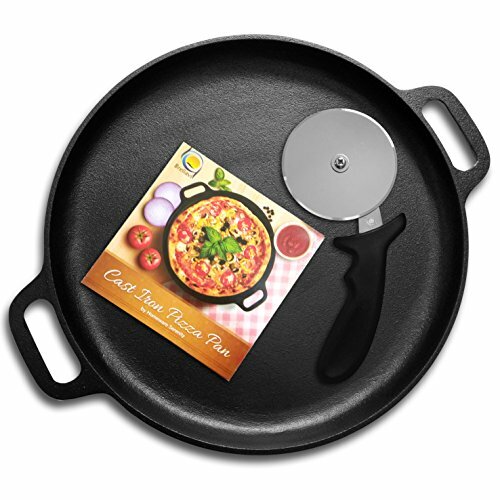 Cooking wedding gifts should be top notch and out of the ordinary which is why this cast iron pizza set is on my list. The best feature of this set is the versatility. Not only does it make a fabulous and tasty pizza but is so useful for dozens of other meals. Stir frys, potatoes, roasted chicken and pancakes are just a few of the ways to use this pizza pan. The bride and groom will love how much territory can be covered with only one pan. Add a cast iron pan cookbook to this gift right HERE . As a cook myself, I have come to realize that you can never have too many cutting boards. So for newlyweds, even though they may already have one or two cutting boards, there is always room for a VERY nice cutting board. Which is where this large bamboo cutting board fits the picture as a cooking wedding gift. 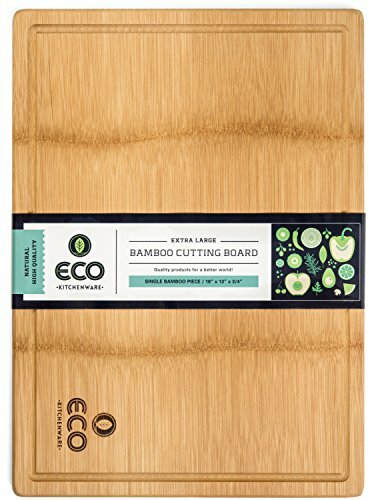 Many boards are glued together, but this cutting board is one solid piece of bamboo which is very eco-friendly. In fact, this is a beautiful piece of bamboo that will come in quite handy as a cheese board for entertaining. I love the beauty and grandeur of weddings and the special gifts that are chosen for the occasion. Favorite Traditions is a participant in the Amazon Services LLC Associates Program, an affiliate advertising program designed to provide a means for sites to earn advertising fees by advertising and linking to Amazon.com. Hi, I am Mary and I enjoy reviewing the best gifts for all of your wedding favorite traditions., I keep quite busy blogging and spending time with family and friends. In my spare time I enjoy gardening, cooking, puzzles and music.